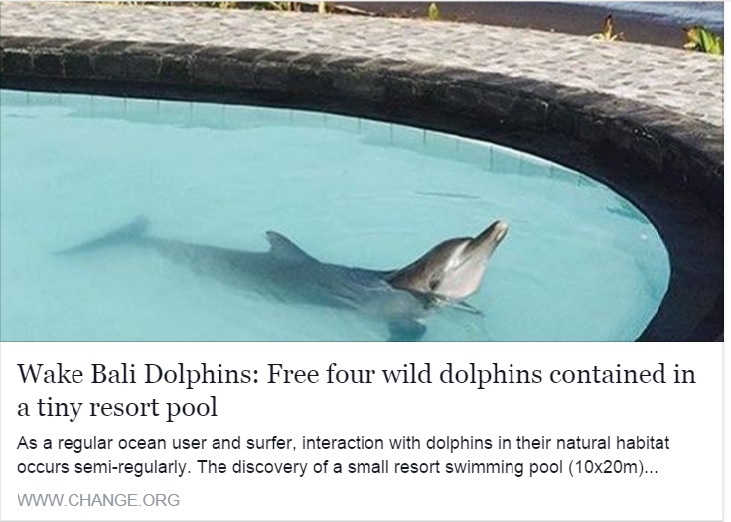 On July 11th, 2015 Fashion model Natascha Elisa and creator of Models Of Compassion intentionally visited “Wake Bali Adventure” to document the four dolphins barely surviving in horrific conditions, whose teeth had all been intentionally extracted, in a tiny chlorinated pool, after reading and signing an online petition: “Free four wild dolphins contained in a tiny pool at Wake Bali Adventure” by Craig Brokensha. nataschaelisa UPDATE: I took this footage when I first found the Dolphins. These Dolphins are longing for the ocean. They are held captive and this is torture. 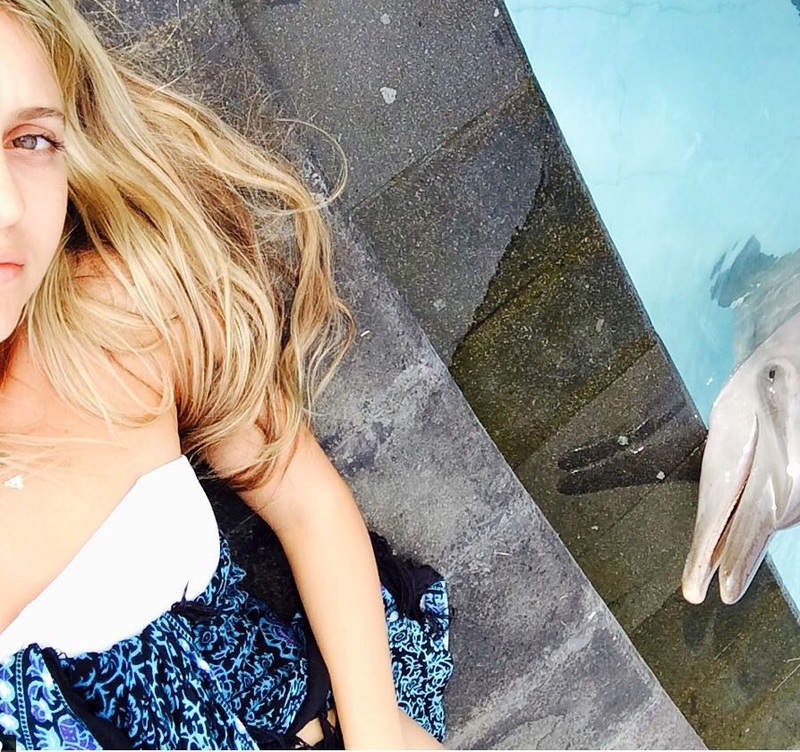 “After seeing and signing a petition on change.org last week about 4 wild dolphins being held in a small pool in Bali for tourist entertainment I went to see them myself and it was absolutely heart breaking… I laid with them for a while and they swam up to me and cried. I have video of the dolphins on my snapchat ‘nataschaelisa‘. Please sign the@changedotorg petition linked on my profile @modelsofcompassion“. 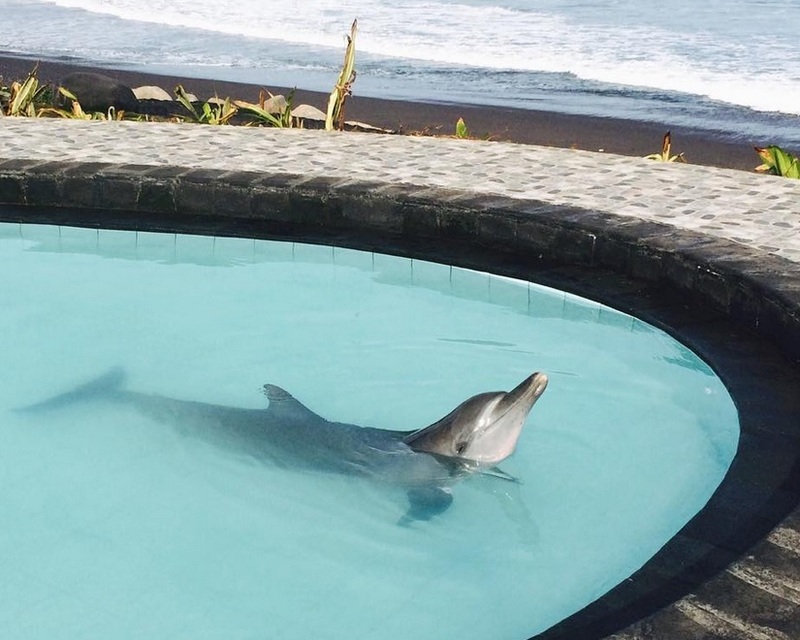 These are two of the four wild dolphins who are trapped in a tiny pool facing the ocean at a resort on Keramas Beach called WAKE Bali. I laid by the edge of the chlorinated water watching them they were still and almost lifeless. As they noticed me they came right up to me and started to cry. Seeing them like this and hearing them is absolutely heartbreaking. Elisa posted several heartbreaking videos and images on Instagram and Models For Compassion. In one video two dolphins approach Elisa, one opens his or her mouth to reveal all his or her teeth had been extracted. The pool was filthy and reeked of chlorine and the dolphins could be seen listless and floundering their eyes obviously burning from the excessive chlorine permeating from the cloudy pool. “Look at the picture, these dolphins are only feet from the open ocean yet here they are imprisoned in a cloudy pool filled with feces, urine and chlorine. Look at their eyes Napoles pointed out, and and watch as the dolphin turns on his or her side in agony! 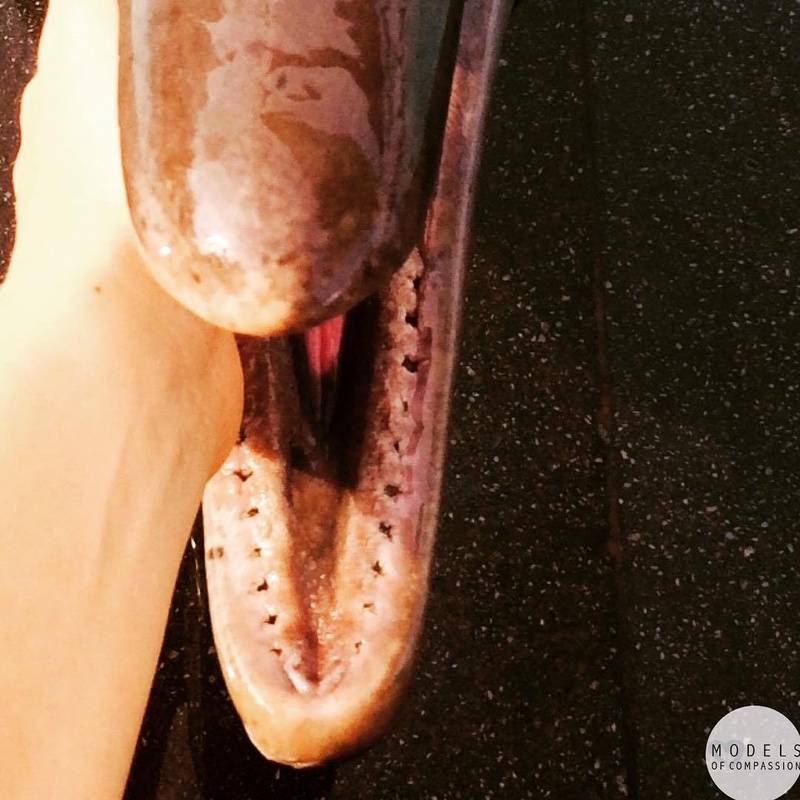 “What vet would extract all of a dolphins teeth”? And then to make them work all day dragging tourists around a tiny pool is criminal. This is abuse at it’s worse! 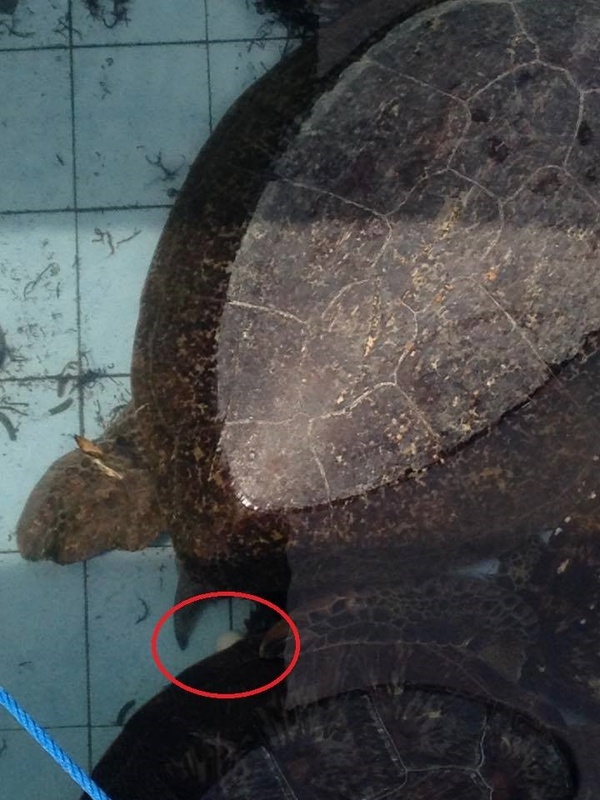 In addition Napoles was given images of wild sea turtles that had been captured and were being held in a drained hot tub at Bali Wake Adventure. 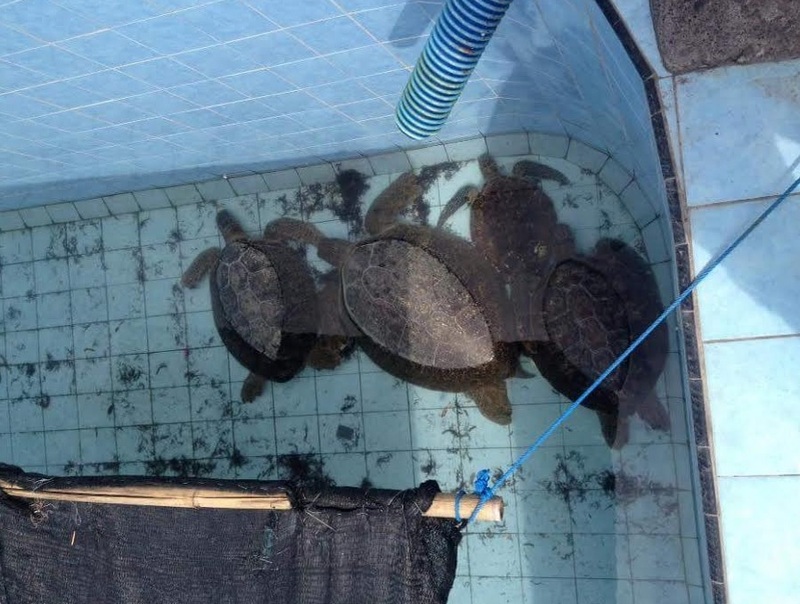 Please sign the petition on change.org and continue to share and voice your outrage at the obvious abuse and exploitation of the 4 dolphins and now endangered wild turtles suffering at Wake Bali Adventure for human entertainment.